Fun packed, adventurous, relaxing weekend trips. 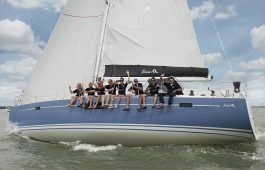 Crew in a yacht race; Round The Island Race, Cowes Week, Americas Cup, Fastnet, RORC Offshore Races. 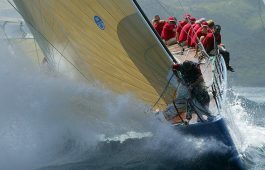 Corporate activity, team building, yacht racing and hospitality, luxury cruising. 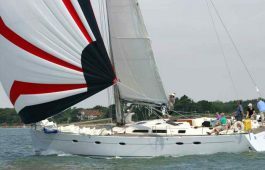 Private charter a Hanse yacht as a skipper with family or friends (license required), Explore the Solent. Cowes, Yarmouth, Lymington, The Needles, Alum Bay, Newton Creek, Beaulieu River and the New Forest. Visiting the Channel Islands, Dorset, France or Devon with week long cruising. 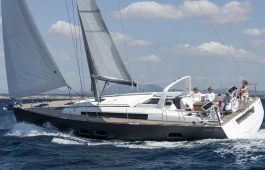 Welcome to Sailing GB the home of the UK’s premiere luxury yachting experience in the Solent. 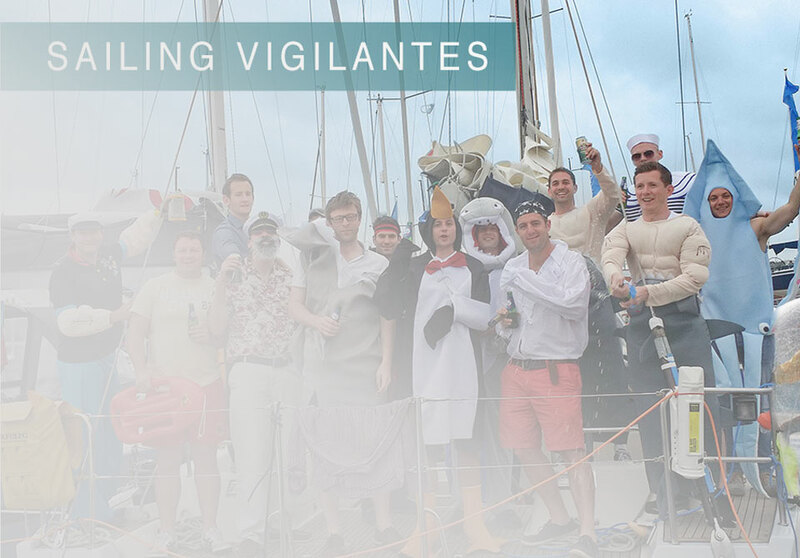 We cater to corporate and private guests providing curated experiences on our luxury yachts. 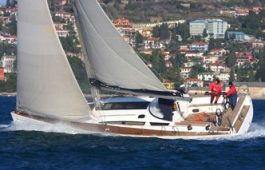 If you’re looking for an exhilarating way to spend time, celebrate an event or want to help a team of your staff to both unwind, get closer and synergise as a team more our luxury yacht charters might be what you’re looking for. The Solent is perfect with beautiful weather matched with the deep, blue water of the Solent itself, protected by the Isle of Wight from the open sea’s conditions. You get to bask in the beautiful UK sun while we use our luxury yachts and years of experience to provide the best yacht charter experiences. 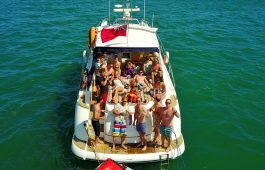 Charter a luxury yacht and enjoy the weekend bonding with friends and family with our all-inclusive Stag & Hen packages packed with on the water activities including, sailing, luxury yacht racing, water zorbing, abseiling, swimming and playing pranks, all without having to leave the UK. Party like a prince at Yarmouth and Cowes on the Isle Of Wight. 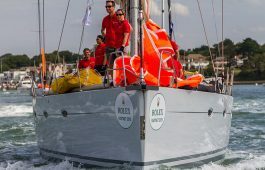 The Solent is a luxurious stretch of Ocean in the UK, home to the Royal Ocean Racing Club, the Royal Yacht Squadron and the World Cruising Club. It’s easy to see why the Solent is considered the Yacht Racing capital of the world. 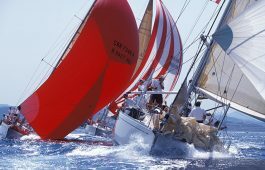 With many of the world’s iconic yacht racing events such as the JP Morgan Round, The Island Race, Cowes Week, Rolex Fastnet Race, Commodores Cup and The Americas Cup events being hosted in the Solent. 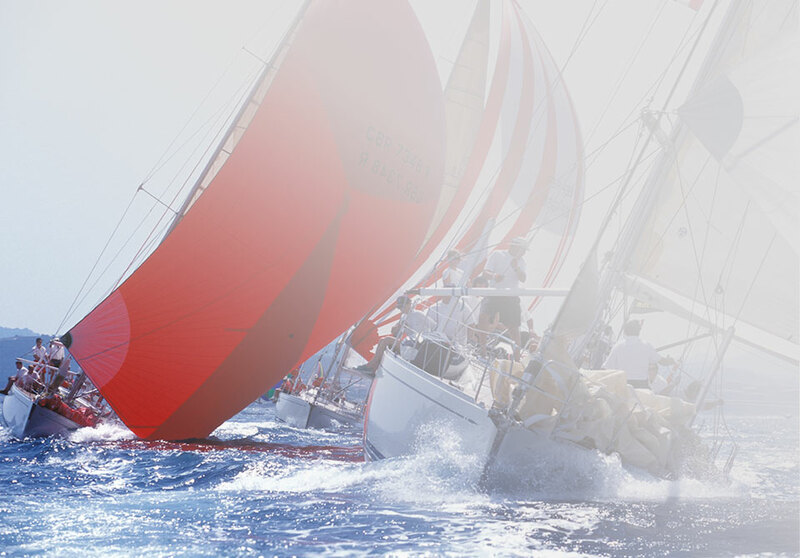 Welcome to Sailing GB, the leading Solent yacht charter experience company specialising in high pedigree, luxury yachts for performance, comfort, and entertainment. 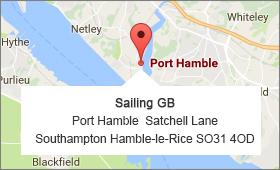 Based at the prime location of Port Hamble this is your chance to be at the heart of the action, for while the Solent is historically the home of yachting, the Hamble is it’s most vibrant hub. 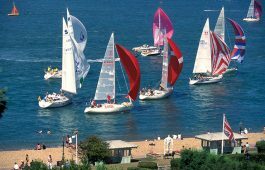 Welcome to the Solent, the UK’s hotbed of yacht charters, international sailing regattas, and the world internationally renowned centre of yachting. 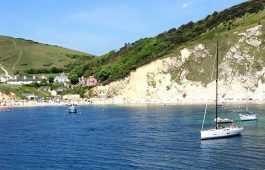 At Sailing GB we provide an unravelled experience with highly experienced local skippers and luxury yachts in idyllic locations at the Isle of Wight, in and around the Solent and further ashore. 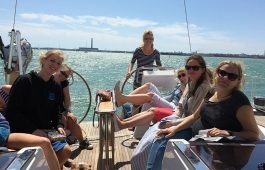 The quality of our yachts and uniqueness of our charter packages provide a unique experience unlike no other , it is this that we believe makes us truly different, and why we invite you to come and experience the Solent! 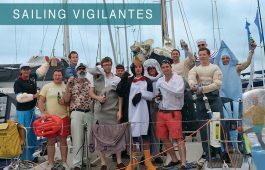 I just wanted to say a belated thanks for all your help in making Jamie’s stag do a great success and for getting up in the middle of the night to get us safely back to the boat!!! Everyone had a terrific time so thanks a million for putting up with us. Dear Darren — what a great weekend. Thank you so much for letting us use your boat. 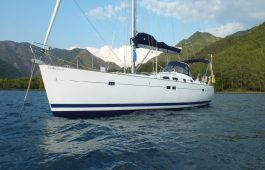 Everyone has commented on the quality of the charter, and how nice and relaxed you were the whole weekend. It made a massive difference. We will be in touch for a return visit assuming she is still available ! Darren, Sorry I missed you on our departure last week. Hope the stag weekend’s went well! I thought you would both appreciate the attached photos. Who needs the Med when you can get weather like this in the Channel!! Well, after several days back on terrafirma everyone at the office is still talking about what was one of the most memorable days ever! Awesome experience on Round the Island race.. 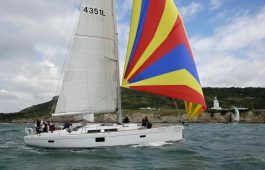 The Hanse is great fun! Awesome stag weekend to remember. Thanks Darren. The yacht is immense & your expert sailing skills kept us out of trouble! Would recommend to all. Fantastic Stag party, awesome crew and amazing experience. Highly recommend this type of weekend. I’m still recovering slowly. Everyone has said it was the best stag do they had ever been on so I must have done something right. One of the group has got to organise another stag do and has taken Andy’s number so be warned ha ha. Thank you for organising such an excellent day for the team. The feedback from everyone has been really positive and the weather certainly helped! Thanks again for your help with all the organisation and for a brilliant day’s sailing. All went incredibly well – everyone happy and no grumbles of even a slight nature! Andy was great, got everyone (who wanted to be) involved, fantastic chef, and all round great guy – he made the trip easy and enjoyable. Will be recommending you guys to anyone organising anything like this! Having the opportunity to sail such a prestigious and imposing vessel as Saga during Cowes week was a true delight. The instruction and support for our staff filled them with confidence and provided a great foundation to make the most of the awesome conditions.We would strongly recommend you and are already planning on how to extend this to our clients in the near future too. It’s just too good to keep it a secret! Thanks seems so inadequate – but Thanks! You and your colleagues provided everything that we could have wished for in terms of catering, clothing, life vests and safety – thank you for going to such lengths to accommodate us and our requests. 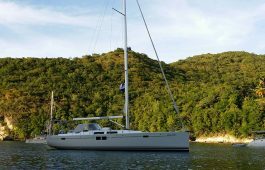 Having been on sailing days before, it is without doubt the stand out experience, we were all so surprised at how much space there was – and how comfortable the amenities on-board the yacht were too. 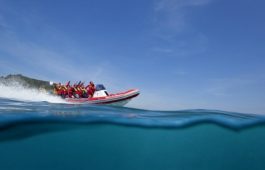 The crew, the racing, the rib rides, – you and your team brought everything together in such a fashion that we simply have to book again for next year! I cant thank you, Andy and the crew enough for firstly putting up with us and secondly for making it such a special weekend. The laughter was non stop and being at sea and in the pub with Andy and Cheryl was amazing fun. Both great company and good banter. 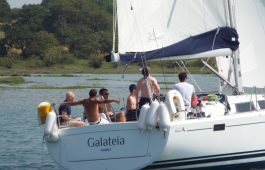 All the lads enjoyed the experience and im sure most will be yachting again. Andy and Rory managed the day and our group really well – probably not the easiest of tasks, and I’ve only positive feedback on both the guys and day itself. I wouldn’t hesitate to recommend you guys for any future events – although sadly I don’t think we’ll be booking again as soon as I would like to!